Electromagnetic Interference (EMI) is a disturbance in an electrical circuit that occurs from another source through electromagnetic induction or electromagnetic radiation. In plain English, EMI is when an electrical device is interfered with by a source of energy. A prime example is the static on an analog TV when a vacuum cleaner or microwave is operated in close proximity. While EMI is most often created by man-made sources, weather events such as the sun, northern lights and lightning can create EMI as well. EMI is regulated by most countries through product testing to specifications and standards. Electrical devices are not permitted to originate EMI and must be able to operate correctly even when exposed to certain levels of EMI. These requirements apply to nearly every industry including but not limited to consumer electronics, automobile, medical, industrial, aerospace, nuclear, transportation, military, and energy. Keystone Compliance is an independent test lab that determines EMI generated from devices on a daily basis. If you or a loved one live with a pacemaker, defibrillator or other implantable electrical device and are concerned about EMI affecting the device, please contact us to schedule a site survey. 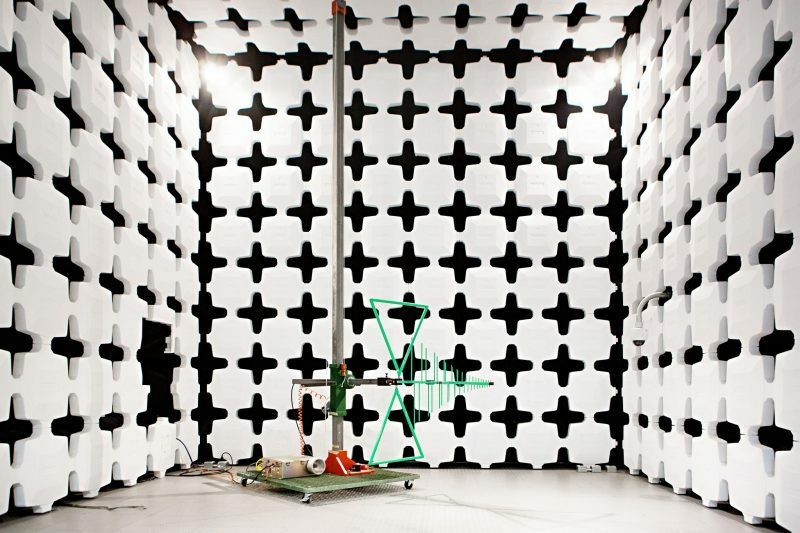 Please contact us if you have any questions about electromagnetic compatibility or interference.